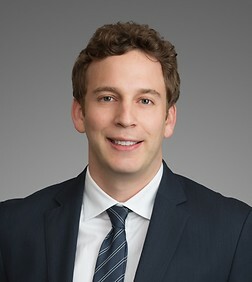 Jonathan Moss is a partner in the Business Trial Practice Group in the firm's Los Angeles office. He is also a member of the firm's Energy, Private Equity and Hospitality Industry Teams. Mr. Moss is experienced in all aspects of California and federal civil procedure, including motion practice, arguing motions in court, taking and defending depositions, and preparing for trial and alternative dispute resolution proceedings. Mr. Moss also has significant appellate experience, including briefing and arguing cases before the California Court of Appeal, the Ninth Circuit Court of Appeals, and the United States Supreme Court. Mr. Moss is a committed pro bono attorney. He regularly represents parents in adoption proceedings through Public Counsel, having handled eight separate adoption cases as well as advocacy to government authorities on behalf of the adopting parents. Represented private equity firm in successfully prosecuting breach of contract lawsuit. Represented Amgen Inc. and its officers and directors in multiple shareholder derivative lawsuits. Obtained complete dismissal at the pleadings stage of lawsuit against former directors of Electro Rent Corp. Prepared summary judgment motion that resulted in judgment in favor of client insurance company in excess of $155 million. Represented closely held company in the municipal finance and public procurement business in a California Corporations Code section 2000 dissolution and buy-out action. Won summary judgment in favor of a Los Angeles real estate developer in breach of contract action involving alleged failure to pay real estate commission. Represented closely held company in retail industry in California Corporations Code section 2000 dissolution action, from inception of proceeding through appraisal and buy-out. Represented Southern California Gas Company and Sempra Energy in all lawsuits related to the Sesnon fire. Obtained complete dismissal at the pleadings stage of lawsuit against Ernst & Young involving allegations of professional negligence and negligent misrepresentation. Represented Amgen in nationwide securities class action, including briefing in the Ninth Circuit Court of Appeals and United States Supreme Court. Prepared brief of Pharmaceutical Research and Manufacturers of America (PhRMA) as Amicus Curiae in case before the United State Supreme Court. Obtained a favorable result for Northrop Grumman in a products liability case involving the crash of a military jet aircraft. Obtained complete dismissal at the pleadings stage of breach of contract lawsuit against Home Depot. Prepared motion to dismiss consumer class action against General Electric involving SmartMeter device, which resulted in complete dismissal for lack of jurisdiction. Represented Disney in breach of contract and copyright infringement lawsuit involving Disney's sale of movies on iTunes. Can Gender Discrimination or Provocative Dress Requirements Ever be Appropriate for Your Employees?